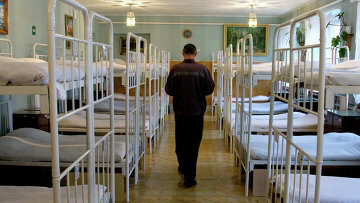 Simplified procedure of inmates’ release on medical grounds backed by Federation Council | Russian Legal Information Agency (RAPSI). MOSCOW, December 21 (RAPSI) – A bill simplifying a procedure for the release of seriously ill convicts from serving sentence was approved by Russian senators on Friday, the Federation Council’s official website reads. The bill has been developed to amend the Penal Code of Russia. The document authorizes the government to enact a regulation determining a procedure of medical examination for inmates applying for release because of serious illness. Currently, Russia’s Justice Ministry and Federal Penitentiary Service do not have such powers. Moreover, under the draft law, if convicts are unable to file a motion for release with court themselves, chiefs of prisons or penitentiary bodies would have a right to lodge an appropriate petition. The initiative has been drafted based on the results of the law enforcement monitoring of prisoners’ health care maintenance. The State Duma MPs adopted it in a final third reading on December 13.